While I was at a community event last Monday at the Vista Senior Center, I was promoting the message that “Many falls are preventable” and passing out flyers for my new E-course, which is designed to benefit people with foot neuropathy, reduced blood flow or normal aging of the feet. 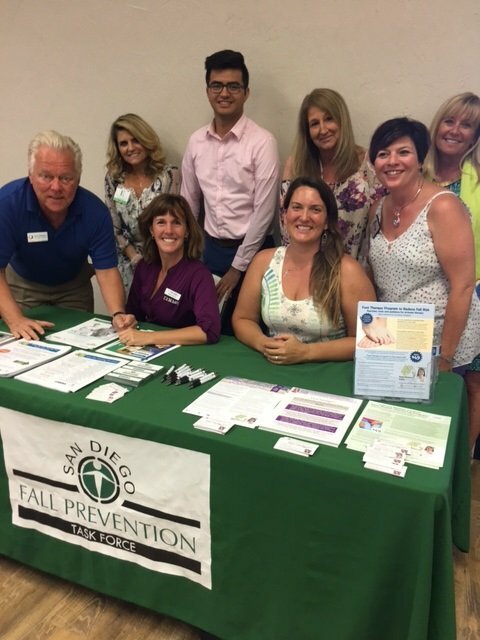 I distributed evidence-based resources from the San Diego County Fall Prevention Task Force that included tips on getting up off the floor, how to talk to the doctor about reducing fall risk and a home safety checklist. 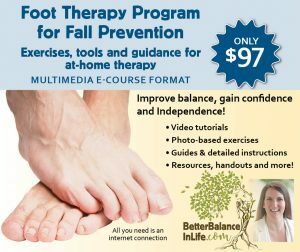 It was also my first opportunity to promote my first online Multi-media E-course “Foot Therapy Program for Fall Prevention” since the course was launched. During the event, a handsome older gentleman shuffled his way over to my table to chat with me and see what information I was passing out. We discussed the importance of fall prevention and exercise being the #1 strategy to reduce fall risk. I shared with him some information about a free exercise class at the local Vista Library, hosted by San Diego County Feeling Fit Club. Then I asked him if he thought that shuffling his feet on the floor increased his risk of falling, and I offered him a flyer for the “Foot Therapy Program for Fall Prevention” online course. Shortly after that, he turned and shuffled his way to the next table, taking very small steps and dragging his feet along the floor. I smiled knowing she meant that he had NO IDEA he was shuffling his feet along the floor as he walked. 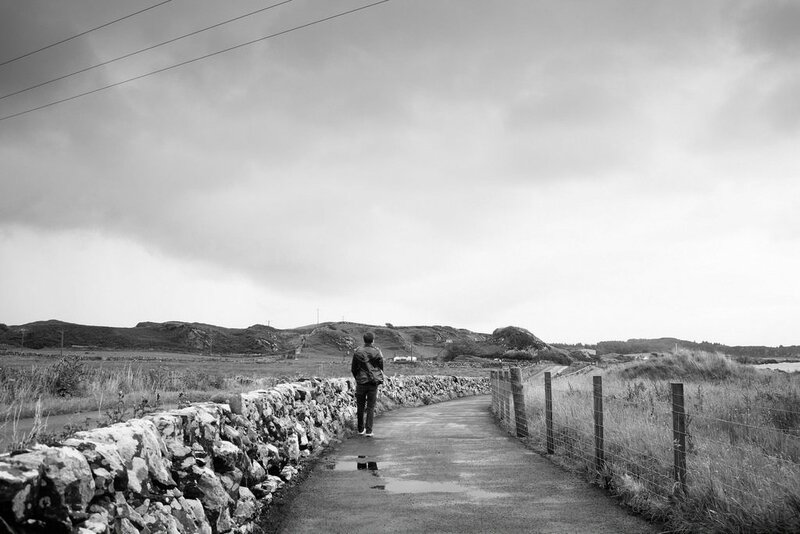 At that moment, it dawned on me how important it might be for people who have unstable walking or chronic falls to ask a friend or family member if they appear to be shuffling their feet on the ground while they walk. It is certainly obvious to those of us who are watching but maybe not as easy to detect by the one who is dragging their feet along the ground unconsciously to help themselves balance with foot neuropathy or normal aging of the feet. If you know someone who is shuffling their feet when they walk, I hope you will share with them what you are observing and let them know about the “Foot Therapy Program for Fall Prevention” E-course, which specifically addresses this problem to improve walking stability. 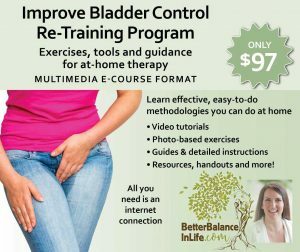 I have personally witnessed many people who were shuffling their feet with walking make the transition to taking normal steps after six weeks of the foot and ankle exercises that I share in that online E-course.